Ann mentioned in her beautiful feature on Barney’s The Window (see here!) the importance of a ‘pop of pink’. Something bright right on the apples of your cheeks - equally flattering as it is mood-enhancing. 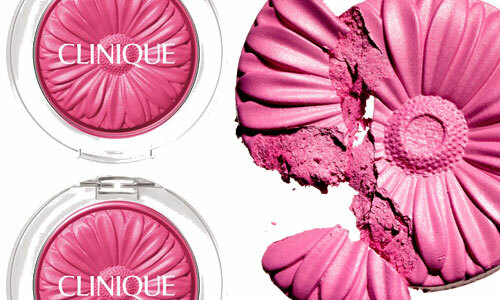 A new little 'pop of pink’ crossed my desk the other day … this daisy shaped pressed powder by Clinique called, appropriately enough, Cheek Pop. Berry Pop (pinkest) is my favorite. Should you want a pop of a slightly different color, they also come in Peach Pop, Plum Pop, and Ginger Pop.